Looking for interview questions that you can ask the applicants for your Human Resources jobs? These sample interview questions are suitable for your HR candidates as well as for managers and other potential employees. Some of these favorite interview questions will also work well when you interview potential HR employees. But, you also need to identify whether your candidates have the special characteristics and capabilities that are needed in HR. These questions must assess the capability of the applicant to perform the new roles of the HR professional. 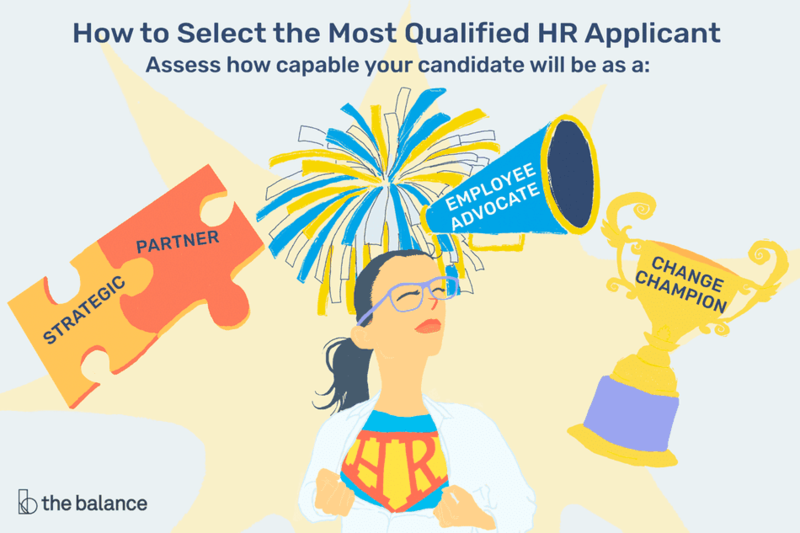 Because these competencies exist in addition to the other core human and employee relations, administrative, employment law, personnel, and transactional expectations of the HR professional, these questions are key to identify your most qualified candidate. Any experienced HR professional can claim a background and competency in implementing the core HR responsibilities such as day-to-day employee relations, personnel transactions, and recruiting employees. Ask this type of question to get at core HR skills. Describe the HR functions that were under your leadership and control in your most recent HR job. What are your favorite components of the overall HR role? What do you enjoy doing the most? Where did you find yourself investing the most time in your most recent HR role? What would you list as HR's most significant contributions in your most recent HR department? The questions are divided into questions suitable for an experienced individual and an applicant who is beginning or early in their HR career; the beginner questions would also work for the experienced professional. How did the HR function have an impact on your organization's strategic planning in your last position? Describe how you were able to assess the success of HR services and employee relations in your last HR position? What did you measure? How did you determine or contribute to determining the priorities for the HR department in your most recent position? Did you participate as a key player in your organization's strategic planning or senior management team? How did you see your role? What do you believe is the role of the HR department in relation to the mission, vision, and strategies of the business? How would you find out the priorities of your managers and senior managers for the provision of HR services? What would you measure to determine whether the HR department was doing an effective job for the company? Please discuss a time when an employee came to the HR department with a complaint about his or her manager. How did you investigate the complaint and help the employee solve the problem? How did the story end? Describe the work environment that you developed for people in your last HR position. What were the key characteristics of the work environment that you were trying to maintain and reinforce? How did your HR department contribute to planning, creating, maintaining, and changing the corporate culture? What were your significant contributions to establishing the work environment for people? What programs or processes, that you developed to maintain and reinforce the work environment that you offered employees, are you most proud of contributing to or initiating? What do you think are the most important roles of the HR department in relation to employees in an organization? What is the role of the HR department in creating the company's work environment for people? If you were the decision maker, what programs for people would be your priority in an organization? Tell us about a time when you initiated a people process or program that was successful in your organization. Why did you believe your organization needed the program? What steps did you take to initiate and develop the program? On the flip side, have you ever championed a process or a program that failed to take hold in the organization? What steps did you take and how would you change your approach the next time so that your organization would integrate the initiative? How do you go about identifying aspects of your organization, the organization's culture, and the offerings of the HR department that need to change or improve? What is the role of the HR department in helping other departments identify and make changes to processes that affect their employees or customers? Can you tell us about a time when you helped a department make needed changes? What was the change and how did HR help identify the need for the change and the action plan. Was the intervention successful? Thinking back over your college years and your job experiences, have you ever helped to initiate a change? What was the change? What was your role in making the change happen? How do you typically react when change is introduced that you had no part in identifying the need for or planning? Would you describe yourself as a willing participant or an early adopter? Please provide an example. Use these sample job interview questions when you interview potential employees. Disclaimer: Please note that the information provided, while authoritative, is not guaranteed for accuracy and legality. The site is read by a worldwide audience, and ​employment laws and regulations vary from state to state and country to country. Please seek legal assistance, or assistance from State, Federal, or International governmental resources, to make certain your legal interpretation and decisions are correct for your location. This information is for guidance, ideas, and assistance. Want to Know the 10 Best Job Interview Questions Recruiters Can Ask? These Job Interview Questions Might As Well Be Illegal!